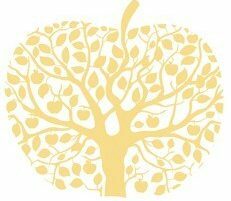 Our Cider is crafted from a selection of 10 apple varieties grown at Hazeldean. All fruit is tree ripened and hand picked before pressing and bottle fermentation. Attention to detail in growing and production results in a well balance, crisp refreshing cider. We start with 100% organic apple juice, not a concentrate or watered down apple juice. This results in a cider with a higher alcohol content and natural flavours. To this juice we add a champagne yeast to start the fermentation process, and in due course leave it to settle and clarify. When the cider is ready to be bottled, more champagne yeast is added and left to ferment in the bottle until complete. We make a DRY and a TRADITIONAL Cider along with a Méthode Champenoise Cider. DRY: A strikingly refreshing and dry cider, well enjoyed by many wine connoisseurs. TRADITIONAL: For those who prefer a slightly sweeter cider and is created using natural sugars from our apple juice. Made in the Traditional Champagne method similar to sparkling wine. This means that the wine is not carbonated like a soft drink or other commercial ciders, rather the bubbles are created by a secondary fermentation which takes place in each bottle. This results in delicate bubbles with longer lasting effervescence.